We chat with Reflections Interactive about the challenges of bringing Ubisoft's first Driver game to the portable. Sumo is handling development of Driver 76 with Reflections supplying support and additional development. The core of the game is actually based on existing Driver technology, though Sumo is bringing in its own graphics expertise. A larger question is one of audience. 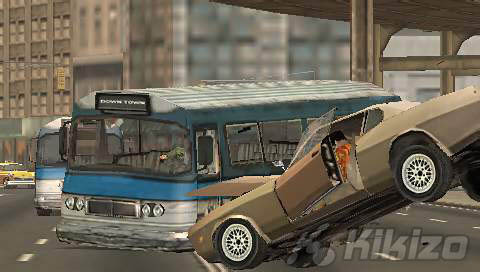 There are obvious parallels between the Driver and Grand Theft Auto series, the latter of which has had mixed success on the PSP. Grand Theft Auto: Liberty City Stories was the game to have in the early days of the PSP, but the relatively lacklustre sales for Vice City Stories suggest that perhaps there's waning interest for games of this sort on the PSP. Reflections isn't too concerned about this. "Driver 76 is much more about driving than a GTA title, so it's not really a comparison that we draw," he said. "Whilst we are set in an open world, and you can change vehicles and use a gun, the really important thing for us is the driving experience, and there is always an appetite for driving games." Is he right? 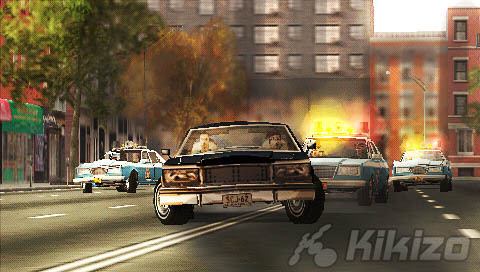 We'll find out when Driver 76 is released for PSP across Europe on 30 March.